While it may only be halfway through 2018, here at SXSW we already have 2019 on the mind. Since April, we’ve been busy planning a memorable SXSW 2019. Now that submissions have officially opened up and anyone in the world can apply to participate, maybe you should be thinking about SXSW 2019, too! Beyond PanelPicker, Film Submissions, and Music Showcase Applications, there are many opportunities for your business or organization to get involved at SXSW 2019 — like SXSW Exhibitions. You may have heard about the SXSW Trade Show, which is the most popular SXSW exhibition, but are you familiar with our other world-class exhibitions like SXSW Wellness Expo, Startup Spotlight, and SXSW Marketplace? 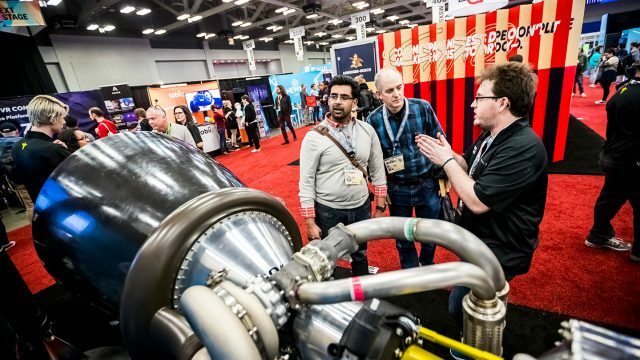 Each exhibition offers unique opportunities for businesses in a multitude of industries to market at SXSW, make B2B connections, and gain exposure to the forward-thinking, professional creatives that attend SXSW. See below for more info on each SXSW exhibition and which one is the best option for your company. The SXSW Trade Show is open to innovative businesses and organizations in the following categories: international delegations, startups, content creators, lifestyle technology, marketing, manufacturing, design and innovation, robotics, hardware and software, security, government technology programs, social impact, sports technology, VR/AR/MR, online media, health + fitness, music technology, artist services and food technology. Featuring dozens of local, national, and global brands, SXSW Marketplace lets your business sell its products to tens of thousands of SXSW attendees. If you’re a clothing, accessories, or art company, SXSW Marketplace is the exhibition for you! Each year, SXSW celebrates beloved startups big and small. The Startup Spotlight lets your startup shine bright, allowing you to make one-on-one connections with SXSW attendees made up of investors and early-adopters. The SXSW Wellness Expo connects tens of thousands of SXSW attendees interested in wellness to some of the most promising companies in this fast-growing industry. Consider exhibiting at the SXSW Wellness Expo if your business focuses on herbs & supplements, athleisure & fitness gear, lifestyle brands, CBD products, clean beauty products, clean eating, specialty diets, energy healers, mental & physical exercise, or wellness retreats.